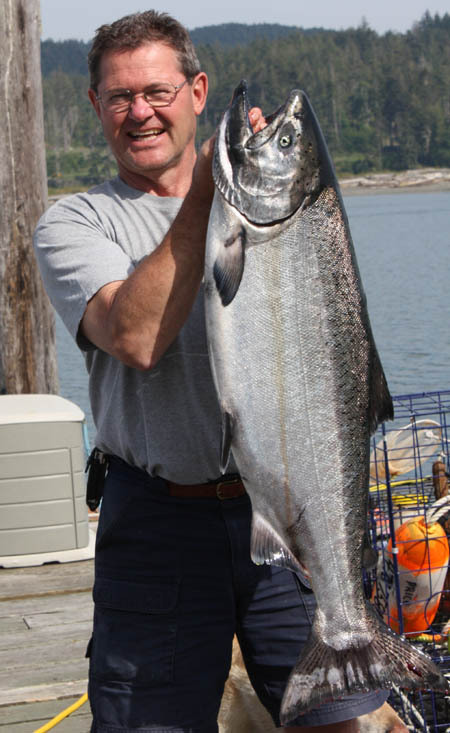 Salmon fishing continues to be steady around Sooke, with a fair number of salmon caught in the 20s and 30s. 40 to 80 foot depth on anchovies seems to be ticket. On a beautiful hot south Vancouver Island day, Neil from Salty Towers Oceanfront Resort got his first summer salmon...a 31 pound stubby Chinook, caught off Possession Point. Crabbing in Sooke Harbour has been fantastic. Good times...now get out there and fish, enjoy the nice sunny weather while it's here.